Following the controversy over whether a Tesla Roadster battery pack can be destroyed, Tesla Motors speaks saying the fears are "irrational", based on limited information, and oh by the way it's nigh-on impossible to brick a Model S.
Two days ago news broke from a single blogger, Michael DeGusta, claiming the Tesla Roadster has a design flaw that can damage the battery pack beyond repair (bricking the Roadster). Yesterday we learned that some details about the blogger and his business partner, Max Drucker, didn't quite add up, with the story starting to smell a little fishy, and Tesla's public image starting to take a hit, but with the underlying risk remaining unaddressed. 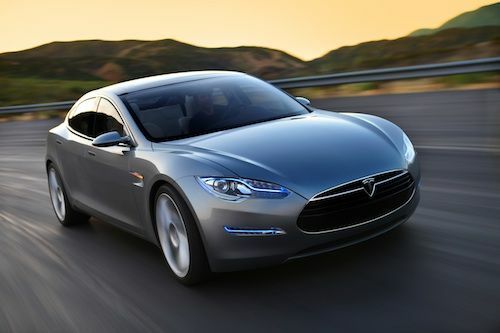 Today Tesla Motors released a blog post that goes a long way to addressing the concerns. To review the story, DeGusta claimed to have evidence, provided by an unnamed Tesla Service Manager, that five or more Tesla Roadster's had destroyed battery packs because the state of charge fell too low, requiring a complete pack replacement. The only verified case is Roadster #340 owned by DeGusta's business partner, Max Drucker. It appears so far that the Roadster does not have an ability to proactively reduce power draw when the car is idle and the battery state of charge falls too low, leading to pack damage. It appears that some public sentiment is stirring against Tesla Motors at a critical time when the company is spending a lot of money heading towards launching production of the Model S. If the public gets spooked by this, it could derail Tesla's business plan. For details see the two earlier articles linked above. Tesla Motors describes the controversy as a "single blogger spreading a rumor" that is based on "an irrational fear based on limited information and a misunderstanding of Tesla’s battery system". That single blogger, Michael DeGusta, received a huge boost when Jalopnik republished his blog post, and a followup article the next day. As we noted yesterday, he and Max Drucker have been business partners for over 10 years, and when DeGusta says he is an innocent bystander that's not quite correct. The battery pack in Drucker's Roadster was damaged, requiring replacement to the tune of $40,000, when he left it in a storage unit not plugged in for two months. This much is fact, not rumor, but DeGusta's blog post made many other claims that may or may not be true. For example, who are the other four (or more) Roadster owners with destroyed battery packs? And who was the unnamed service manager in DeGusta's blog post? Another question that has come up is whether the battery pack is actually destroyed, or whether it's just the 12 volt system getting discharged. If this were a simple case of the 12 volt system, then it would be a simple process to wake the Roadster back up just by connecting a 12 volt power source to the car. But this is a case that requires battery pack replacement, indicating that Tesla believes the pack is damaged beyond usability. Tesla's own statement on this did not explicitly deny such damage can occur, instead it said "All batteries are subject to damage if the charge is kept at zero for long periods of time" and "Tesla avoids this problem in virtually all instances with numerous counter-measures" suggesting that there are scenarios which can occur that leads to the pack being at zero charge for a long period, damaging the pack. Turning back to Tesla's blog post, they say "Of the many pleasures that Tesla owners have, one of the most appreciated is nearly worry-free maintenance of their vehicles" and that in return for not having to worry about oil changes, spark plugs, etc, that Tesla merely asks the car owner to "remember to charge it". This is because "A plugged-in Tesla is not only charging its battery, it is also keeping key systems within the car functioning properly". There is an analogy here with cell phones, all of us who own cell phones know that it's easy (and a good idea) to keep the phone plugged in whenever possible. It's not unknown for cell phone or laptop battery packs to be damaged if these gizmos are left sitting and not plugged in. The counter-measures Tesla takes are that for Roadster's with low state of charge, "the car is designed to let you know with repeated visual and audible warnings," and that if the owner continues "to ignore the warnings, they will persist and increase." That sounds useful and practical, except what if the owner is nowhere near their car to hear the warnings. This is like the old conundrum, if a tree falls in the forest and nobody is around to hear it, did the tree fall? If a Roadster beeps its guts out warning the battery pack is low, but nobody hears the warning, then what happens? Tesla's blog post says the Roadster "also protects the battery itself by communicating with other systems in the car to conserve energy when the state of charge gets too low" and "Starting with Roadster 2.0, owners can also elect for their car to contact Tesla headquarters once the state of charge falls below a specified level, and we can then contact the owner." In other words, the core issue is that some Roadster subsystems continue to draw power from the pack even when the car is "off". The concern we had was whether the Roadster itself had any innate protection against draining the state of charge to zero. Tesla claims here that the Roadster is set up to shut off some of the subsystems in this case, which would reduce the rate charge is drained, but does not reduce the drain to zero. Newer Roadsters can then notify headquarters, with headquarters notifying the Roadster owner to plug in their car. This combination of counter-measures should cover the majority of cases. But there are cases this will not cover. Tesla claims that even "in cases of neglect" the Roadster does pretty good, saying "The earliest Roadsters will take over two months to discharge if parked at a 50 percent charge without being plugged in." This means a Roadster parked at 50% state of charge would take two months to discharge to a dangerous state of charge. However, taking Max Drucker's letter at face value, the state of charge on his car was probably higher than 50% and it took two months of sitting idle in storage for the pack to be destroyed. This doesn't quite add up. But, wait, it gets better with the Model S. For starters, "a Model S battery parked with 50 percent charge would approach full discharge only after about 12 months." This would be in part because the Model S has a larger battery pack than the Roadster, assuming the 300 mile Model S, and also suggesting, in part, that the the power drawn while sitting idle is less than it is on the Roadster. Additionally, "Model S batteries also have the ability to protect themselves as they approach very low charge levels by going into a deep sleep mode that lowers the loss even further," and that the car "will not allow its battery to fall below about 5 percent charge" at which point the car can sit idle for many more months with no damage. Of course, says Tesla, you can 'drive a Model S to 0 percent charge" but even in this case all will be fine so long as you recharge the car within 30 days. These measures relieve the concerns we have over future Model S and Model X owners. The behavior Tesla describes is the sort of automatic battery pack protection one expects in an electric car, and indeed is the sort of protection built into most cell phones and laptops for the same reason. Namely, just as a modern cell phone or laptop emits warning notifications and then shuts the gizmo off if the warnings are ignored (or not heard), so too will the Model S shut itself off if the pack state of charge falls too low. Then, just as with the cell phone or laptop, recovery is a simple matter of plugging in to initiate a recharge. But does this mean that Model S batteries cannot be bricked? From Tesla's description it appears that a Model S owner who drives the car to zero state of charge, then leaves it sitting for over 30 days, is at risk. Just what the level of that risk would be, is unclear. In any case it's hard to imagine this combination of events would actually occur in actual real life. Roadster owners are in a slightly different situation, but Roadster 2.0 owners can opt to have Tesla Motors staff assist them in monitoring and safeguarding their car. This is a very nice response on Tesla's part, demonstrating that Tesla engineers have come up with a good solution for this scenario. Our concern that as 10's or 100's of thousands of Model S and Model X cars are sold, those future owners might not be as tech-savvy as the Roadster owners, and could act like normal car owners today and ignore service recommendations. Tesla has designed in the automatic precautions necessary to preclude these future car owners from accidentally damaging expensive battery packs. With all your "investigating" why don't you just ask Tesla how many battery packs have been replaced. Unless you don't know whether to believe them. I did send Tesla's press office a query, they didn't respond. They could always add a crank on the front so you could juice it up like a dead cell phone in the airport in an emergency. Tesla is an amazing company. Their cars will change the world, for the better. When I first read the brick article, I was really concerned. Thanks for posting this article. One scenario where the battery could be damaged is if a tesla is stolen and driven until the battery is at zero charge, then dumped somewhere for several months before being found. It would be a nightmare for the owner. Do Teslas come with Lojack or similar detection devices? Nightmare because of the waiting list but financially would be totally covered by insurance. That is an interesting comment. What does one pay for car insurance on a Tesla? And would be the cost to fix anything? Very high I will bet. Another issue that Tesla does not know , what it does not know. There is a thread on the owners forum and the insurance quotes range from $700 to $2000 annually depending on state and insurance claim history. This compares with ICE vehicles of a similar price bracket. I don't own a Tesla so don't know this for sure, but along the path of researching for these three articles I saw claims that Tesla's HQ staff can turn on a GPS locator in the car to locate where it is. Get this book for the juicy details: "Tesla Undercover: A tale of bribery, lies, infidelity, corruption and greed. Five former senior staff and one key investor detail the manipulations, false engineering data, government kickbacks and greed-based operations that will are making business history, but not in a good way. By Mark Peters. 185 Pages. Get the book soon on Amazon and online. Kindle, Nook, Ebook & PDF versions available." Hi Susan, I googled and found nothing yet...please let us know when this book hits the streets. I have known some people who worked for Tesla when they were located in Rochester Hills, MI. Not many had much good to say about the incredible inept management style of Musk. Many people were fired for disagreeing with management. I am not surprised this story has surfaced. I am curious if what they say follows my thoughts over the last 5 years. Interestingly a google search of the title shows up a slew of blog posts like this advertising the book, but I cant find anything about an actual book either available or upcoming. I call slanderous troll on this one. Presumably the infidelity part is referring to Elon Musks' first messy divorce prior to his marraige with Talulah Riley. That first divorce was important enough I had to write a news article on it a couple years ago, because the divorce proceedings were threatening Musks financial situation and ownership stake. IIRC there were stipulations from Daimler's ownership stake in Tesla that Elon Musk must retain a certain %-age ownership in the company. I wonder, why everyone talks about discharching to 0 percent or full discharge. The problem we are talking about is discharging BELOW 0%, which is normally called DEEP discharge. Also I think Model S & X will have much better protection against deep discharge of the battery. It simply needs to turn off all electronics, that drain the battery completely at a certain level. Then self-discharge should be so low, that it can be left unplugged for a few months without any damage, that's called deep sleep and will be automatically activated at 5% capacity. Of course then it needs to be transported to a charger, because it can't drive with its own power anymore. Another good thing would be to send the owner a SMS before the car goes to deep sleep, telling him/her to plug in the car immediately/within a calculated time, so the batteries won't be damaged, or a user could send the car to deep sleep remotely, with the risk that it needs to be plugged in, before you can drive again, i.e. if it is to cold for batteries, when owner returns. As they all have GSM, why not directly contact the owner, instead of Tesla headquarters? Also it does not make much sense, like the Roadster does, to show visual & acoustic warnings, which will drain the battery even more, when no one is in the car (a sensor could tell). Instead it should set some mechanical part or e-Ink display to: "Please recharge immediately to avoid damage to the battery pack" - then turn to deep sleep. In addition they could implement a "storage" mode, that uses less power for electronics as normally, but therefor may need an hour or so to drive again, i.e. to heat up the battery pack. Of course this would also be an argument for integrated solar panels, even if they only charge 2-3 miles on a sunny day, it should make deep discharge (bricking) practically impossible. Oh yes, everything was easier with the EV1 - it had NiMH batteries, they do not get big damage (if any), when they come to a deep discharge (like the other Ni-based batteries too, like NiCd or NiZn), also they do not need heating in the winter, and are much easier to manage. Of course it did only have a range of about 120 miles in average with its EV95 (ovonics) battery, but than it was back in 1999!! And capacity of NiMH also increased since then. But sadly Chevron-Texaco has bought patents on those batteries and no one is allowed to built larger NiMH-cells, this patent lasts until 2015, so there is need to use other battery technologies, like the different Lithium-Types, which are much more sensitive about over or under charching and temperature, so they need a much more complex BMS. (battery management system). We'll see what will happen in 2015, maybe the NiMH-battery then will still be used for some lower range/cheaper and/or more robust electric vehicles.